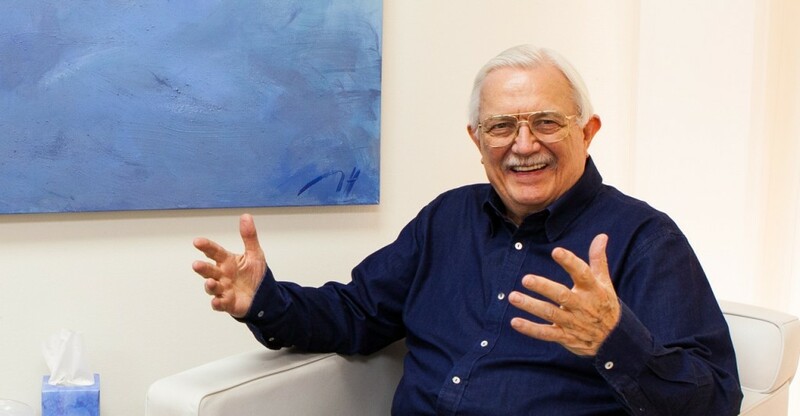 Aging Strong, The Opportunity of a Lifetime - Bud Harris, Ph.D. Massimilla Harris Ph.D.Bud Harris, Ph.D. Massimilla Harris Ph.D. I am enjoying aging! What a surprise…. To be honest with you I never thought I would be as old as I am now. Nor did I think I would still be as excited about my life, my work, my vocation and my future as I am today. On the cusp of my eighth decade, I am enjoying more clarity, passion and purpose than I ever have, even though I have always believed I am a purpose-driven person. As an intelligent person, I wonder why I didn’t see this reality approaching and why I worried so much about having enough money, about being helpless, about healthcare, insurance and all the other stuff that the marketing complex around aging is telling us we need. The answer to these questions is that I am aging in a new time in history and we need a new roadmap for this journey. This blog and my next three blogs will be introducing key points in the roadmap that is available to you in my new book, Aging Strong: Living It Forward and Giving it Back. I haven’t been alone in my worries, thoughts and questions. For almost forty years in my professional practice, I have known men and women, lectured around the country and corresponded with readers of my books. In my practice and in every audience, people who are in or approaching the fourth quarter of life have wanted to know how to make the transition into this new time in our lives and be inspired to live with meaning, authenticity and in a way that expresses our best capacities. 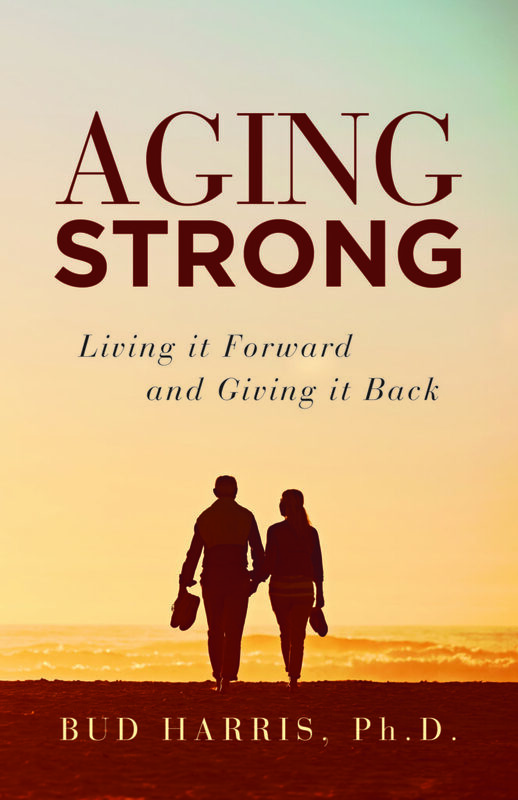 Aging Strong: Living It Forward and Giving it Back not only tells us how, it inspires us to live forward – invigorated by what we are experiencing and by our new horizons. I am inviting you to look deeply into your life today. Take a renewed and longer view in order to discover a new horizon and the journey towards it. My parents’ generation saw retirement as a reward for a lifetime of working hard and planning ahead. Advertising and conventional wisdom have seemed to be telling me that if I did everything right, if I saved right, invested right, planned right, exercised right and ate right – retirement would be a dream come true. Well, I have lived long enough to know that such dreams are the illusions that sell products. I have also lived long enough to know that as I slow down physically, I can continue to grow emotionally, psychologically, creatively and spiritually. So let me ask you to join me in taking this new opportunity for expanding yourself, renewing your identity, finding a new calling and filling your life with worthwhile activities that may have once seemed beyond your reach or beyond the dreams in your heart. I have to keep reminding myself that we live up to thirty years longer than people just a few generations ahead of us did. I also have to keep reminding myself that our conventional wisdom of the day will fail to give me a satisfying life if I over-rely on it. This wisdom is based on a past we are not repeating. It was an awakening for me to learn that how we age today is determined by our lifestyle, not our genetics. And, as an analyst, I know that our lifestyle is a function of the environment of health, healing, growth and purpose within us. In our world, sustaining a healthy lifestyle of longevity means we must go to the trouble to create a healthy, life-giving, emotional, psychological and spiritual environment within ourselves. Creating a vision of ourselves beyond our current horizon and having a life focused on love, meaning and a defining purpose can only evolve from this inner environment. Aging Strong: Living It Forward and Giving it Back is about encouraging you to recognize that entering and living in the fourth quarter of your life is a key threshold time – a powerful transition point in your life. And, let me repeat, grasping this transition point as a dynamic addition to our world means that those of us in or approaching the fourth quarter of our lives can be creative, accomplish new things, find new vocations, new callings…and learn to thrive, have a sense of wonder and a new sense of security in life as well as deeper emotional connections, wisdom and a new found joy in living. I also want to emphasize again that as we slow down physically, we can actually grow more psychologically and spiritually. So, as I mentioned, I am enjoying aging!